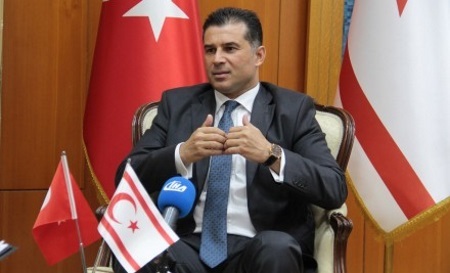 Prime Minister Hüseyin Özgürgün stated that either there will be an agreement in Geneva or the TRNC will continue on its current path, and it has the strength to do so. Özgürgün made the statement in response to a question by an IHA reporter in a press conference at the Prime Minister’s Office. Özgürgün assessed the possible scenarios for a solution or in case a solution cannot be found. Responding to a question regarding why an agreement has not been reached in the negotiations in the last 50 years, the Prime Minister pointed to the diplomatic and religious bases, especially in the USA-UK and Russia triangle. In the context of the Cyprus issue, Prime Minister Özgürgün asserted that no improvement has been made with the UN Secretary Generals on Cyprus. “The new Secretary General will deal a lot with the Cyprus issue. He has to deal with it because the oldest problem on the UN’s agenda is the Cyprus problem. It does not seem to end”…..
President Mustafa Akıncı and Greek Cypriot Leader Nikos Anastasiades have completed their first meeting at the Cyprus summit. The meeting concluded at 20.00 in Geneva (TRNC time 22.00). At the first meeting, the leaders discussed outstanding disagreements in the property chapter and a consensus has been found on some of the pending issues. The leaders also attended a dinner given in their honour by the Swiss government at 22.30 (TRNC time). The negotiating teams and Turkish Cypriot and Greek Cypriot political party leaders attended the dinner. “Administration and Power Sharing” and “the EU and Economy” will be discussed this morning at the Geneva Summit. 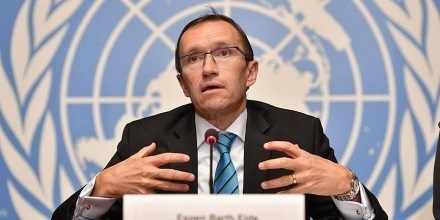 During the press conference held at the UN Geneva Office, Eide said that the negotiations have started as planned. Eide also noted that significant progress has been made on five important chapters – economy, the EU, property, administration and power sharing, territory, security and guarantees – during the last 19 months of negotiations. 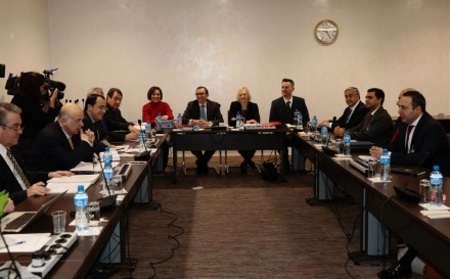 Eide stated that an international conference will be held on 12 January, at the end of the negotiations, with the participation of the guarantor countries Turkey, Greece and the UK as well as both sides’ delegations, while the European Union will participate in the conference in a “special observer role”. 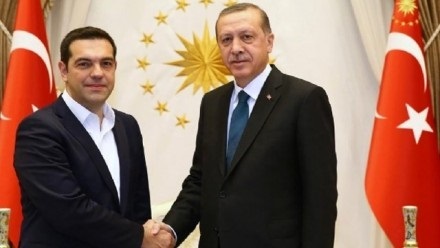 Turkish President Erdoğan and Greek Prime Minister Tsipras exchanged views on the Cyprus negotiations during a telephone conversation. Erdoğan and Tsipras pointed out the importance of having a constructive attitude for all parties in order to obtain a positive result from the negotiations in Geneva. This entry was posted in News and tagged 5-party Conference Geneva, Alexis Tsipras, Cyprus negotiations, Espen Barth Eide, Hüseyin Özgürgün, Mustafa Akıncı, Nikos Anastasiades, North Cyprus, Recep Tayip Erdoğan, TRNC. Bookmark the permalink.